The collaborative process happens in many ways to create a multidimensional solution to the built environment. This happens with building form that is synergistic and allows occupants to interact with each other and freely exchange information. A similar collaborative process is also beginning to emerge in the digital process that designers employ to create the complex and highly technical structures that are built today. The use of "intelligent" 3D software and rigorous systems of information management are the key to organizing effective and well-designed buildings. This allows many individuals to contribute to the problem solution in a coherent way, with a free flow of information during the entire design process. This also allows buildings to "learn" as they are modified over time. The way this digital team design paradigm affects the building industry remains to be seen, but it will change the way in which architects and contractors provide their services to owners and developers. 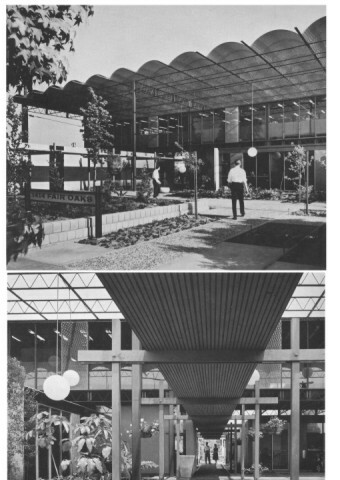 The Smith & Williams Community Facility Planners Office in South Pasadena, CA.,is an example of this philosophy in its early form.The interactive clusters of office spaces along the circulation spine allowed for a very free exchange of information between the independent offices of architecture and design, structural engineering, interior design and graphic design. The open landscaped patio and pool was the central social space for the complex, with an open wire mesh cover above all of the small structures. Before the technology was available to collaborate digitally, this arrangement allowed for informal interaction all through the design and construction document phase of a project, with the problem-solving taking place as necessary because the solutions were not standard floor plans or concepts. Sometimes systems had to be re-configured several times before the solution emerged among the differing disciplines. This led to unique solutions to the frequently complex issues of owner requirements, particularly for the urban planning projects. The layout for the 1414 Fair Oaks office structure was a reflection of this ability of the design and engineering team to collaborate as-needed to develop a fine-tuned project. In late June of 2003, the South Pasadena Unified School District (SPUSD) let it be known in the Pasadena Star-News that they intended to acquire the office building at 1414 Fair Oaks Avenue, next to the middle school, via eminent domain for use as a parking lot. A public protest was lodged by Laurie Barlow, AIA, along with other Smith and Williams “alumni” at a public hearing that quickly evolved into the AIA Pasadena and Foothill Chapter’s “1414 Fair Oaks Legacy Committee.” This historic structure of significance in the early modern movement in Southern California, constructed in 1958 and designed by the firm of Smith and Williams, has been successfully rescued from demolition and will be brought back to its original use as a collaborative office space by its new owners. This is the result of community support and activism driven by the P&F Chapter AIA, along with a coalition of preservation groups. 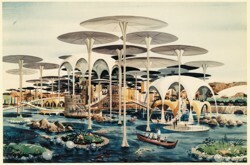 In July of 2004, an exhibit called Wonderlands: Theme Parks, Fairs and Urban Visions, from the Smith & Williams Architectural Archives, UCSB, was opened to the public. This firm, known for its urban planning and theme park site development and design, had an approach to design that was grounded in human scale and interactive experience. Spaces were layered and interpenetrating, with texture, color and life at the center of each personal experience. A way of connecting with other parts of the whole was always meaningful. The pricipals, Whitney Smith and Wayne Williams, were at the forefront of the early modern movement. 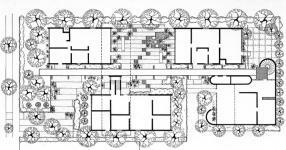 Whit was the designer for the very unusual Loggia Case Study House #5, which was unbuilt. A further retrospective of their work is part of an exhibit produced by UCSB in cooperation with the Getty's Pacific Standard Time series of exhibits by various museums about the early modern period in Southern California. 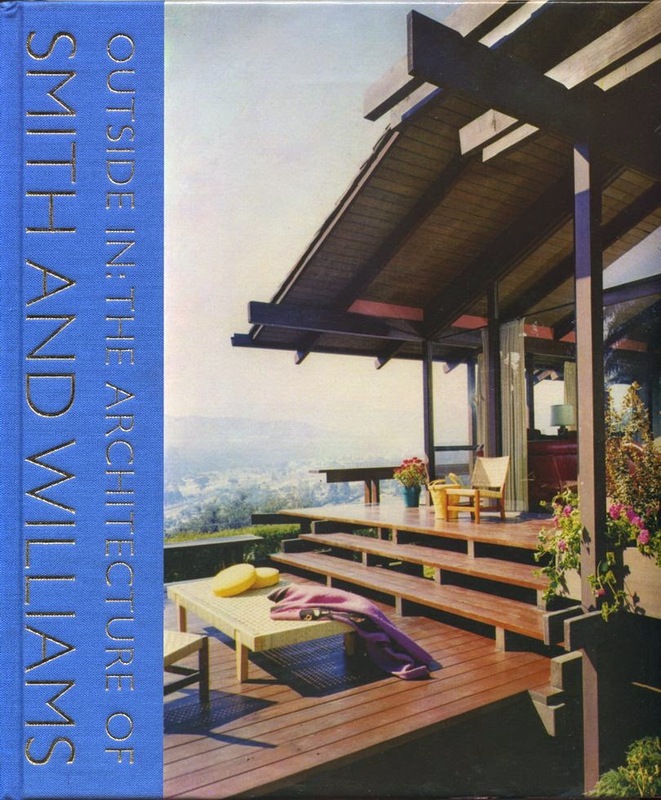 The collaborative process is about respecting context and scale, and reinforcing the connectivity of the urban fabric, as well as connecting the human environment to the natural world and all of its experiences.The history of this firm has now been documented in a publication from the University of California, Santa Barbara as a published monograph documenting the various projects done by Smith & Williams. An excerpt of the book is here. It's published and just released by the Getty as of March 2015, and can be ordered online here. It has extensive documentation of the firm's projects from material archived by Whitney Smith at UCSB, as well as interviews with architectual historians that have documented the work by this firm. One online resource has been compiled here by John Crosse. This firm practiced as an urban planning consortium, and emphasized the context of the site and the actual business needs of the client, as opposed to simply designing structures. Often people will build a building when they don't know what else to do: "The British architect Peter Blake was once asked by a seaside community to design a recreation pier as a way to stimulate tourism. Before accepting the job, he visited the site, and he returned to the city authorities and told them, "You don't need a pier. You need to clean your beaches; they're filthy. If they were clean, people would use them." The city did as he suggested, and tourism increased without anything having been built. That's a dramatic instance, but you'd be surprised how often a good architect will warn you off of unnecessary construction." The emphasis of this firm's practice was planning and implementation of modern architecture. For example, in the city of Irvine, planners encouraged their builders to push the boundaries of standard housing products, often requiring them to partner with designers such as Smith and Williams, Sasaki Walker Assoc., Lawrence Halprin, Backen Arrigoni and Ross, and Richardson Nagy Martin...Irvine was distinctly Modern for its first several decades. 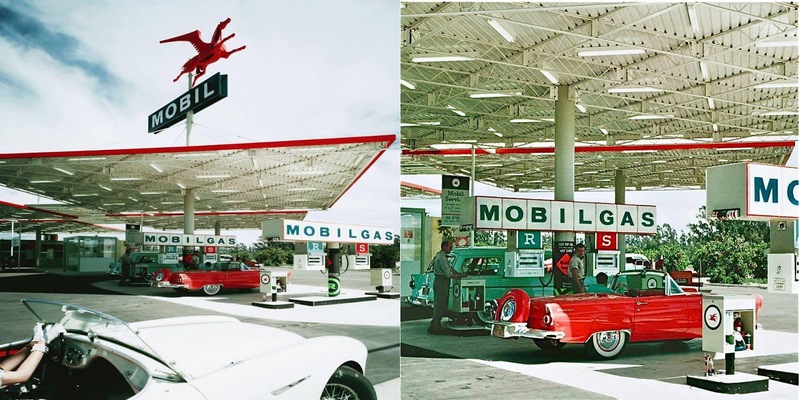 Today that has left Irvine with a remarkable collection of Modern buildings and landscapes from the midcentury..
For many years this Mobil gas station sat at Harbor and Katella in Anaheim, across the street from Disneyland. Designed in 1950 by Smith & Williams, it was photographed by Julius Shulman. The Pegasus sign was created by Millard Sheets and Albert Stewart.